Behind the elegant curves of the Akubarik speakers are a host of powerful technologies derived from our flagship Klimax system, plus the Akubariks have a few tricks of their own. The Isobarik bass system fires deep, powerful and controlled bass downwards through a precisely engineered air gap, while the 3K driver array ensures stunning clarity from mid and high frequencies. Integrated Exakt electronics and amplification complete the package. Akubarik combines beautiful styling with advanced electronics, offering stunning clarity and precision that will reignite your passion for music. Encased within an elegantly curved and ultra-low resonance cabinet, the Akubarik speaker is fed a single digital input from any Exakt-enabled Linn networked music player. The on-board digital crossover in each speaker delivers five independently controlled channels, each with its own volume control, DAC and power amplifier. The Linn 3K driver array delivers fantastically clear mid and high frequencies throughout your room, while the Isobarik bass system delivers power and musicality in the lowest frequencies without the need for a larger cabinet or separate sub-woofers. Our integrated speakers have amplifiers and Exakt electronics on-board, delivering incredible performance in an elegant package. 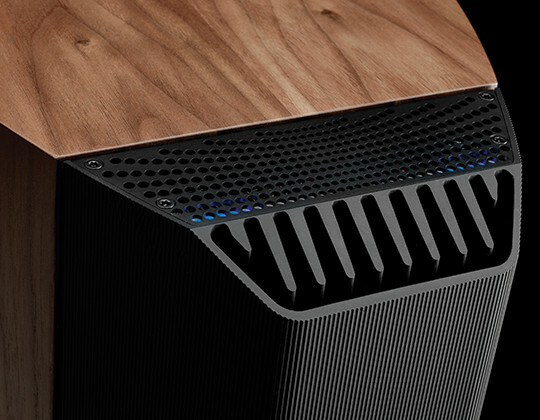 Built-in to the rear of the speaker is an intelligent, networked module that's suspension-mounted to acoustically isolate it from the cabinet. Connected to a Linn network music player using Exakt Link, the module is fed a digital signal, which is split by the Exakt digital crossover into the precise frequencies required for each drive unit. 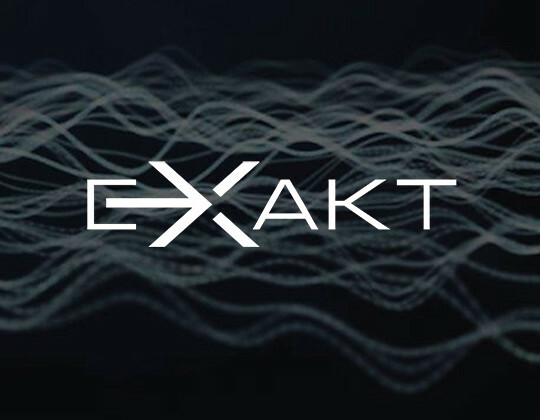 Exakt’s powerful processing ensures the perfect time alignment of every frequency played by each drive unit, preserving the natural sound of every instrument. The electronics are isolated from the cabinet using a bespoke isolation mount design. A specific type of rubber was specially selected and is ‘tuned’ to precisely match the resonance of the bass port, ensuring minimal transfer of energy into the amplifier. Powered by the latest Dynamik power supply, this loudspeaker is completely silent, offering efficient and passive cooling without the need for a fan (a chimney built into the amp module draws the warm air up and out of the amp). Akubarik features Linn’s 3K Driver Array technology. 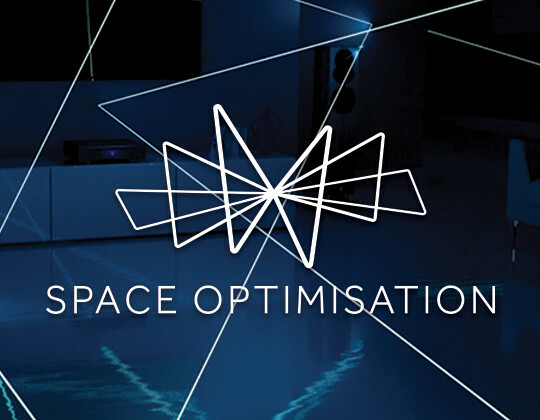 This creates a consistent single point sound source and improves high frequency response, meaning you hear the same incredible level of detail throughout the room. Akubarik uses an isobaric bass system, consisting of two bass drive units positioned face-to-face and housed in the base of its beautifully curved cabinet, producing lots of rich, deep bass within a surprisingly compact cabinet. Akubarik’s gently curved cabinet is both practical and beautiful. Designed for sonic performance, the cabinet is a composite construction made up of layers of wood veneer, MDF and glue. These are steam-pressed in a mould to produce a dense, rigid and acoustically dead cabinet. Meticulously placed internal bracing not only provides added rigidity but creates an acoustically inert enclosure with very stable mounting for the drive units. A completely sealed, large internal enclosure for the upper bass unit means that Akubarik delivers better transients and reduced distortion for an improved performance. The curves have allowed us to cleverly house the isobaric bass system between the base of the cabinet and the solid stand, while keeping the cabinet compact. The stand is precision-machined from a block of solid aluminium to provide a stable and rigid loudspeaker base, reducing cabinet vibration and improving overall performance and musicality. High grade real wood veneers are used through and are available in standard (Cherry, Black Ash, Rosenut, Oak, Walnut, Matt White, Gloss White and Gloss Black) or special high gloss finishes, including over 200 bespoke RAL colours to complement any living space. Akubarik can also be further personalised with a choice of chrome or black finish 3K array. Black Ash, Cherry, Oak, Rosenut, Walnut & White. RAL colours and high gloss finishes available.